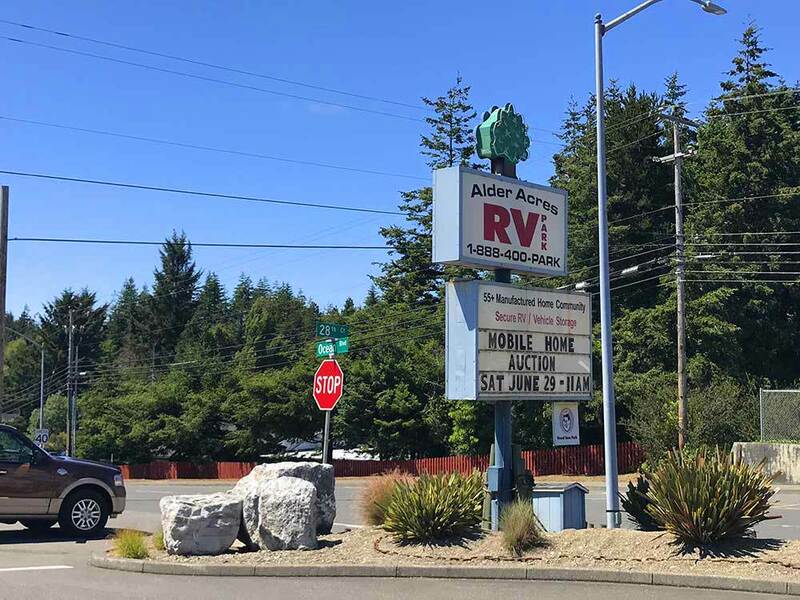 Alder Acres is a friendly, clean, family-owned park with wide pull-thru sites only a short drive away from downtown Coos Bay & the Pacific beaches. We're very pet-friendly with 3 enclosed dog runs & a pet wash.
Did not use any facilities other than hookups. Very pleasant and quiet place. All paved level sites. Tight fit for 45' motor home and tow unless you park the tow perpendicular to the site. Internet and cable were useable. This place was very nice and we'd come back again. If you are coming to the Coos Bay area, this park is well maintained, clean, and reasonably priced. The staff was able to get us in at the last minute, and were very helpful. The restrooms are modern and spotless. The laundry room was my wife's favorite part - credit card payment. Will stay here again.